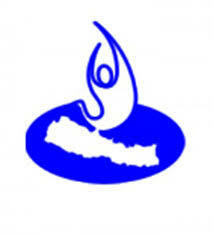 NHRC urges govt for special provisions for people with Down Syndrome - Integration Through Media ....! KATHMANDU: The National Human Rights Commission has urged the government to put in place a special provision aimed at securing the welfare of the people with Down Syndrome in the country. Down Syndrome is a genetic disorder typically associated with an intellectual disability, a characteristic facial appearance, development and cognitive delays. Wosti shared that the Commission had been according high priority to the protection of rights of people with disabilities. Similarly, Down Syndrome Society Nepal President Shila Thapa lamented that people with this condition were still ridiculed and denied equal opportunities in education, health and employment. She shared that in humans, each cell normally contains 23 pairs of chromosome. In most cases of Down Syndrome, babies born with this condition get an extra chromosome 21-for a total 47 chromosomes instead of 46. “It is not a disease. It is a condition,” she explained.